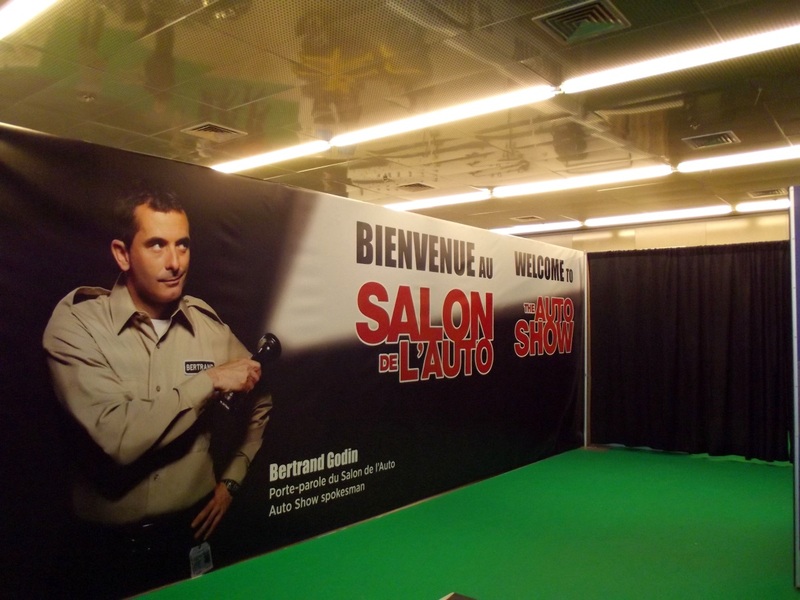 So here we are, after an entire week, with the final part of my recap of the 2013 Montreal Auto Show, which I cunningly called “Mid-size”. To the more discerning of you, you will notice that quite a few various cars are in this category. Basically, in this final part, I will go through the rest of the cars, which could not fit in the last four parts. However, be warned, this part is just as awesome as the ones preceding it. To start off, I will make a mention of the Kia Optima. Kia has radically changed in the past few years, to the point that their cars can become segment leaders. The Optima is unbelievably close to that, if it were not for the slightly boring performance. However, fret not, as the racing version was there, which does look capable indeed. The sister company, on the other hand, had some very promising metal. First of which was the Hyundai Genesis R-Spec, the Korean M5 if you will. Powered by a mighty 5.0L V8 developing 429bhp, it may seem tame, until you remember it costs only $48,000, quite a bargain in fact, and Leonardo DiCaprio drove one in Inception. Next to it, the Genesis Coupe looks a bit plain with its measly V6. Still, a very good car. From Mazda, there was quite a big deal made about the new 6. Given the state of the company, it is no surprise; this car really needs to be a hit. At least it looks the part, a good departure from the very tame predecessor. Nissan on the other hand chose to play safe with the 370Z. A good car, it must be said, but with the Subaru/Toyota BRZ/GT86 on the block, it really must be improved now. Honda were showing off the new Accord, which I must admit, in V6 form looks weirdly appealing. To finish off the Japanese section, a little detour via Lexus must be made. As a matter of fact, the new IS350 was revealed, and as much as an improvement over the older car it may be, that front end is really too much. Who would have thought we would one day wish for a Lexus to have tamer styling? A special mention goes to the ES350, whose interior truly stunned me. I had fun sitting in all the different cars of the show, but the Lexus interior was one of the best quality-wise. Americans were not all about Muscle Cars though. In fact, at the moment, Ford are desperately trying to revive their aging Lincoln brand. Lincoln is the equivalent to Ford what Lexus is to Toyota, with the bonus that Lincoln is synonymous with airport taxis. With the new MKZ though, they seem on the right track. It looks very good up close, and there is something about those rear tail lights that just makes me want to stare at them all day long. I will admit, I was sceptic at first, but now I actually want to drive one, and I am only 23! Ford also had their Taurus SHO, a car that has been out for a few years, but still is very exciting, being the original sleeper car. However, we all love Muscle Cars, and the Cadillac CTS-V Wagon is the best one of them all, combining mad power from the 6.2L supercharged V8, unique styling that sets it apart from the competition, and a big boot to accommodate the furniture from IKEA. Audi was at the auto show in full form. Apart from the numerous S8s or S7s, they were presenting the RS5 cabriolet for the first time in Canada. My personal favourite, the TTRS was also there, finally being imported to North America after a lengthy social media campaign! It is also good to see a 5 cylinder engine being used nowadays. Mercedes-Benz had their usual suspects, including my old friend, the C63AMG, the last of the small 6.2L V8 powered AMGs. And where would Mercedes be without the gorgeous CLS, or the king of cars, the S-Class. At the other end of the scale, Volkswagen had the Jetta GLI, a car we really need in Europe. Think of a Jetta, but with the engine and running-gear of a Golf GTI. How can we not like this? Finally, BMW was strong as always, particularly with the M5 and M6. Nothing much to say, apart from, wow. Finally, what better way to end this part, than with one of the most excitingly renewed brands in the past 10 years: Jaguar. I have to say, from having sat in them, their new cars are really something apart. From the stupendous XFR, to the stunning XKR, even including the noble XJ, their cars are the perfect example of quintessential Britishness. It is good to see the new owners, Tata, are letting Jaguar express themselves in such an amazing way. All in all, it has been one great auto show. I hope you enjoyed the tour and pictures! Normal programming will now resume…. This entry was posted in News and tagged 2013, 370z, 6, accord, amg, audi, auto, bmw, c63, cabriolet, cadillac, cls, coupe, cts-v, Ford, genesis, gli, honda, hyundai, is350, jaguar, jetta, kia, lexus, lincoln, m5, m6, mazda, mercedes-benz, mkz, montreal, nissan, optima, r-spec, rs5, s-class, s8, sho, show, taurus, ttrs, v6, v8, volkswagen, wagon, xfr, xj, xkr. Bookmark the permalink.